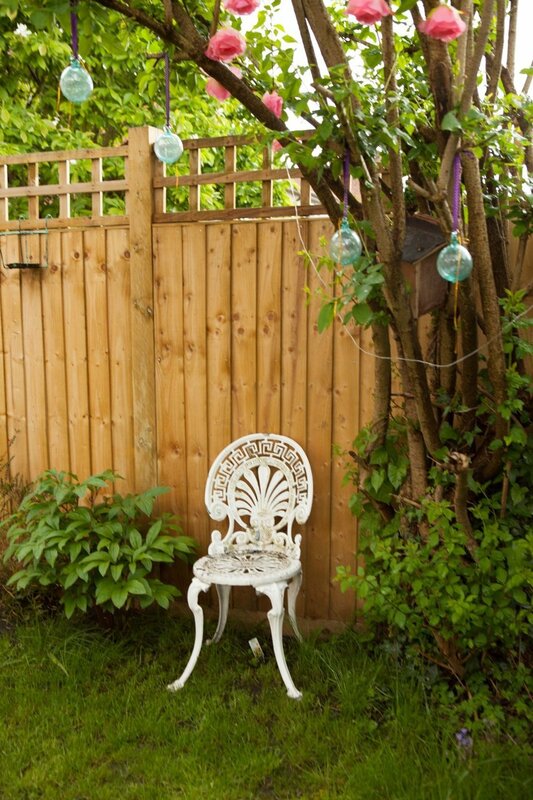 This week I decided to take you along with me to visit the beautiful home in South London of Gigi, John and their children Kit and Delphi. 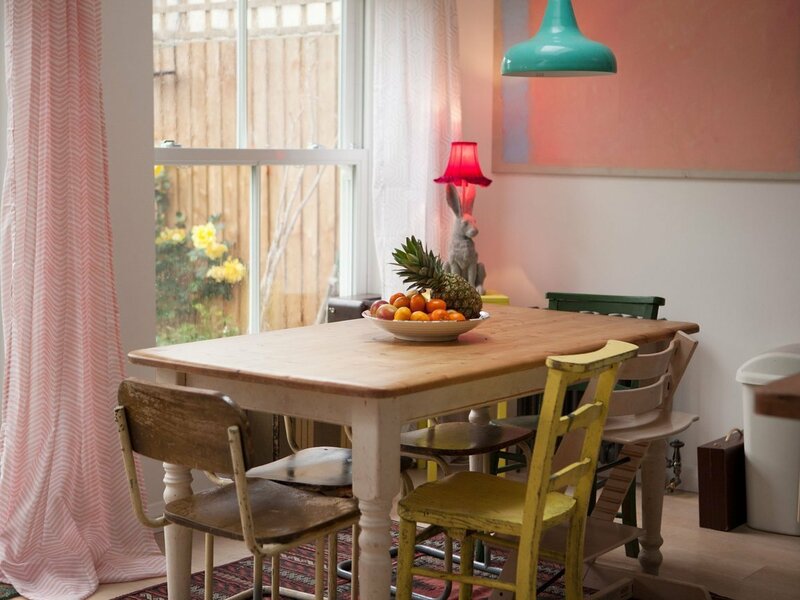 They have a beautiful interior with a pastel decor and style and finesse throughout! 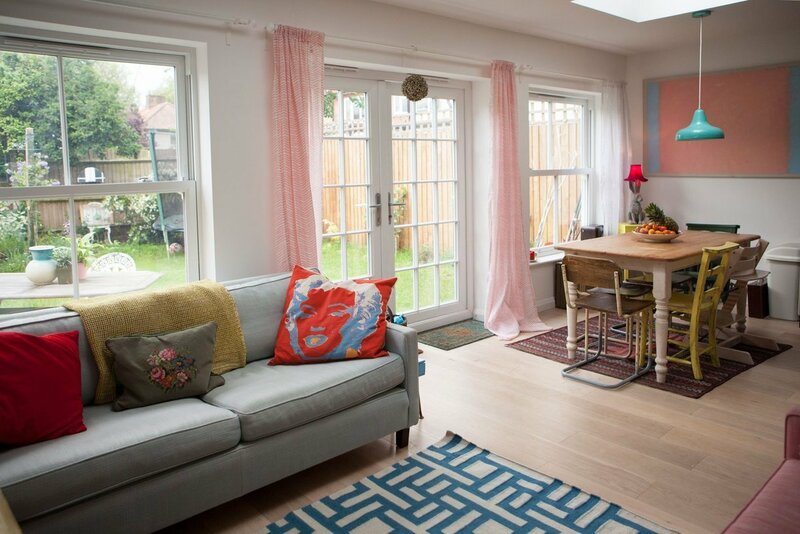 The kitchen opens up to the dining room and living room, and is the heart of their living space. 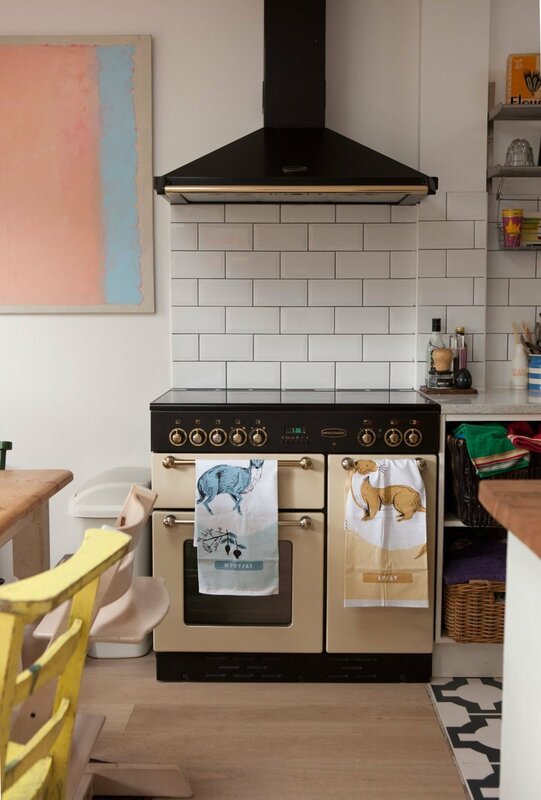 It has a central island for added space to cook and eat. 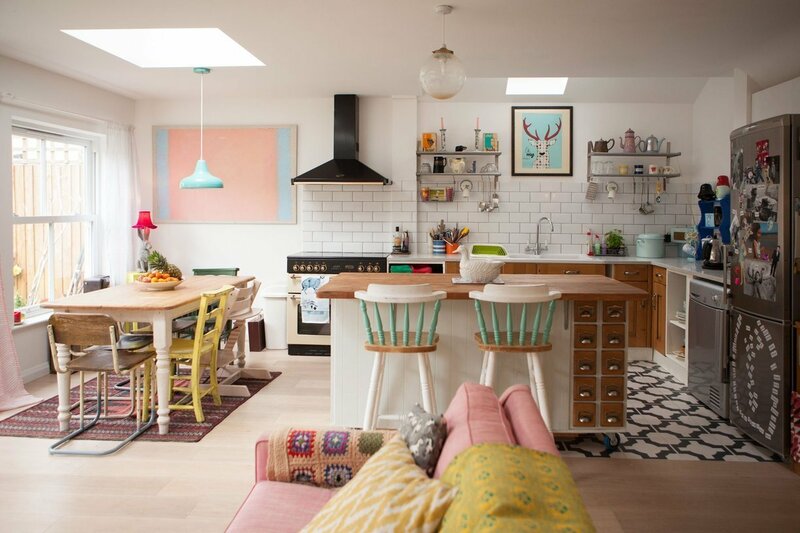 The splashes of colour around the kitchen make the room feel warm and friendly. 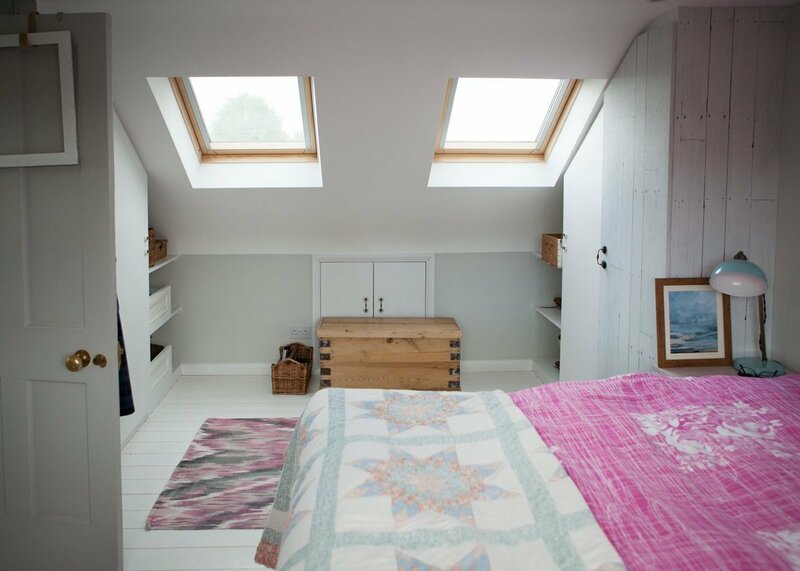 However, to avoid an overdose of bright colours, the whole room is toned down by touches of white and wood, creating a more relaxing atmosphere. 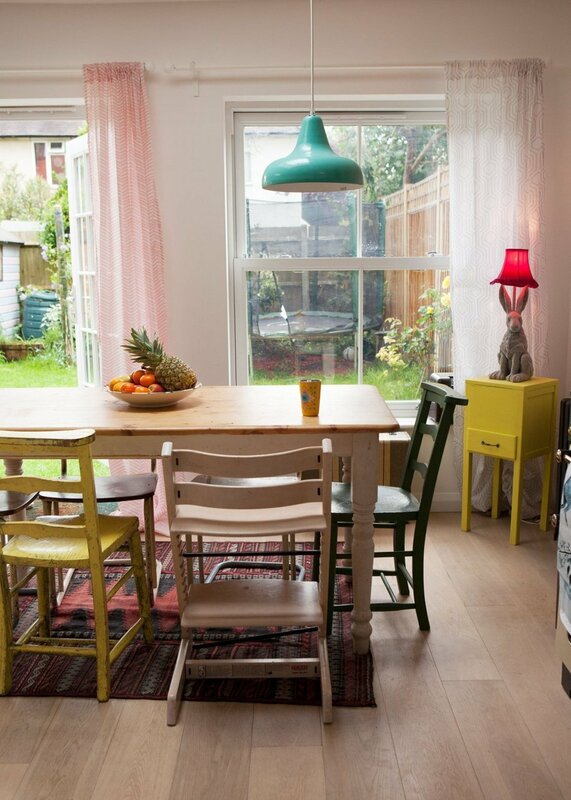 We love: The repainted bar stools, so you can eat at the bar when you’re in a rush! 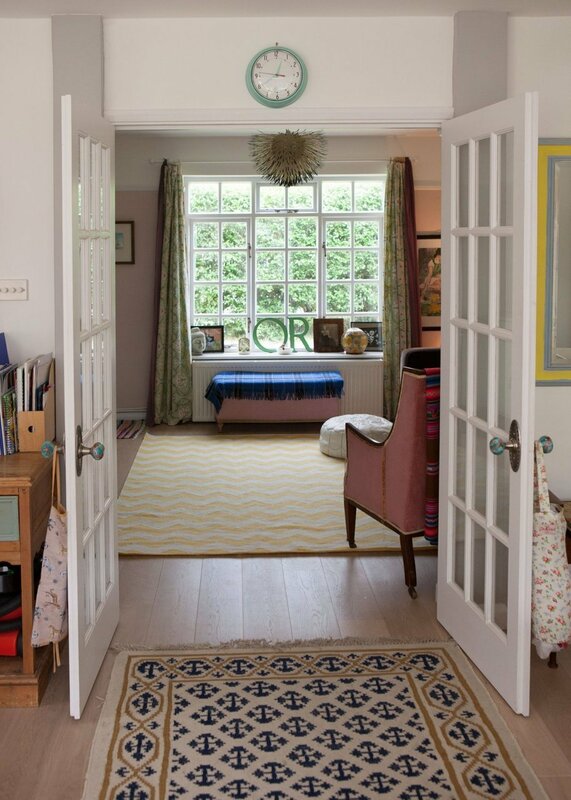 Many items in this room are antique and/or reworked, bringing an eclectic and authentic feel to the room. 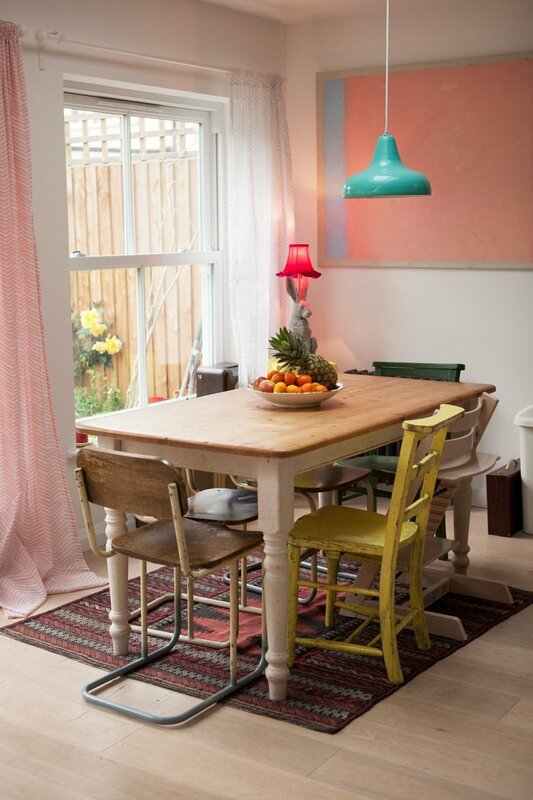 We particularly like the mismatched chairs with peeling paint around the dining table! 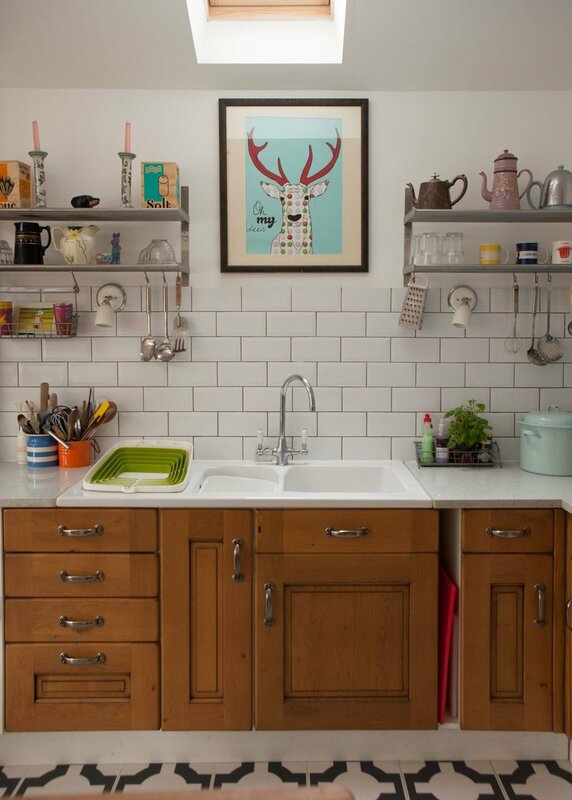 These old objects are balanced with Scandinavian elements, such as the herringbone curtains and the ‘oh my deer’ poster which hangs above the kitchen sink. 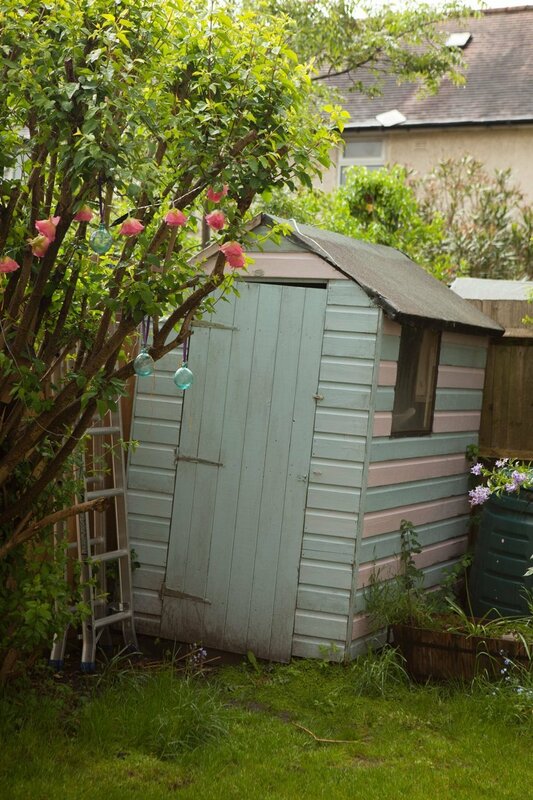 The French doors open up onto a small garden, and even in this green corner, we find another touch of pastel paint, slightly washed out, on the shed. 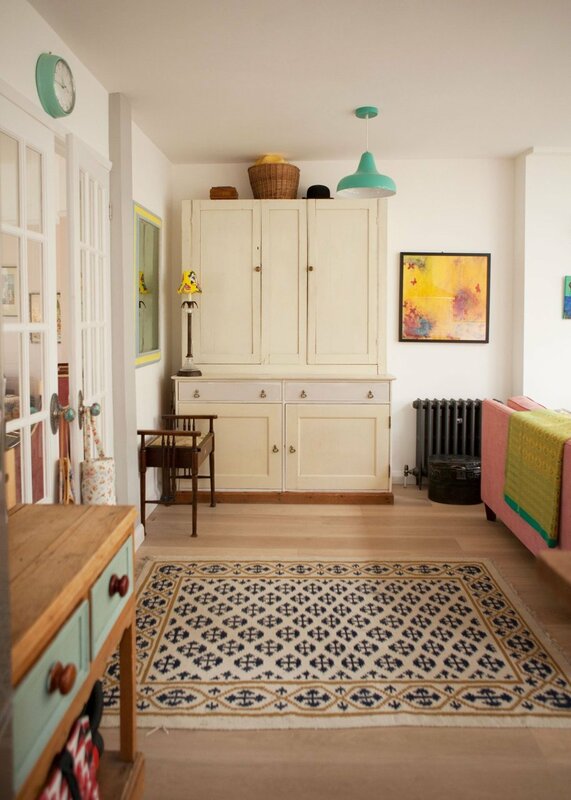 We love: The pink and lilac picture on the wall! 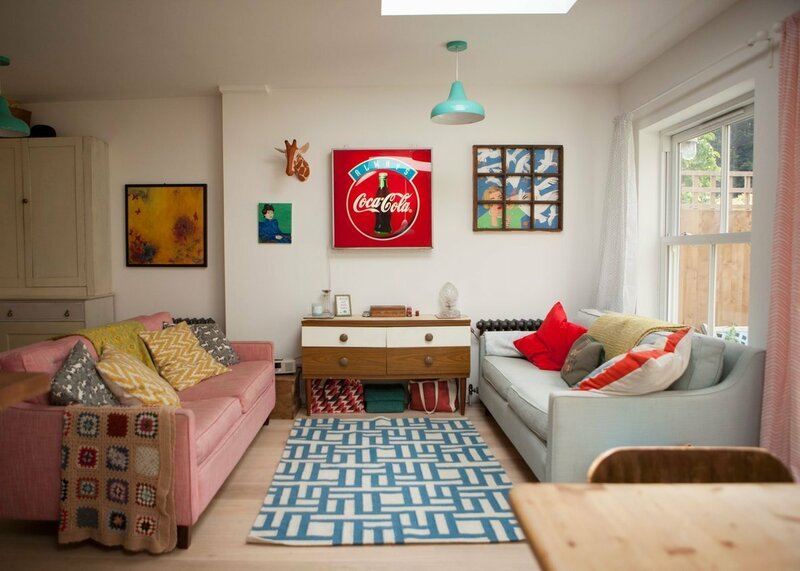 The living room is very open and the more you look around it, the more open it seems. 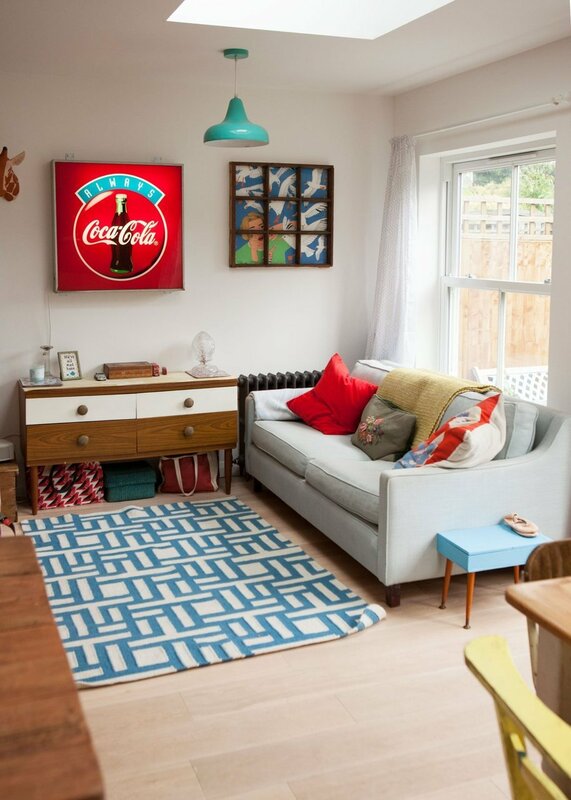 There are much stronger colours in this room, the retro Coca-Cola advertisement in particular, but also the matching cushions, which are just as intense a red. 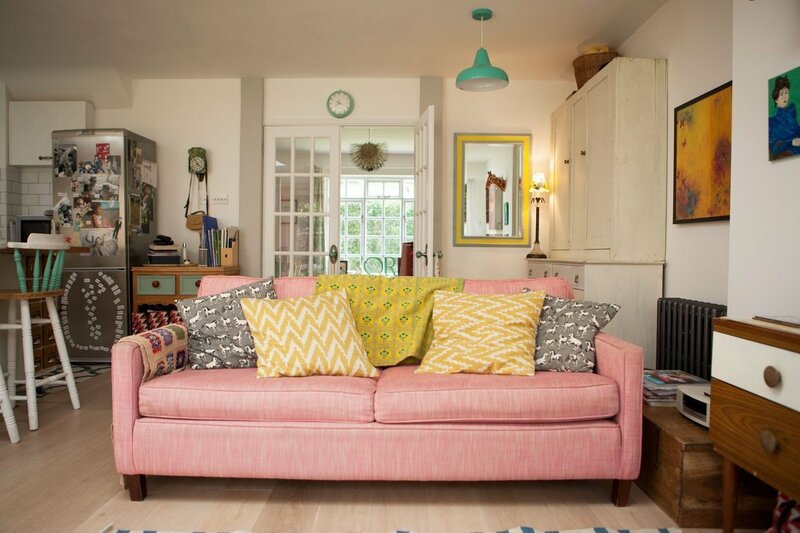 In the centre of the room, there are two sofas facing each other, one in a soft gray with bright cushions, and the other is a pale pink with pastel coloured cushions. 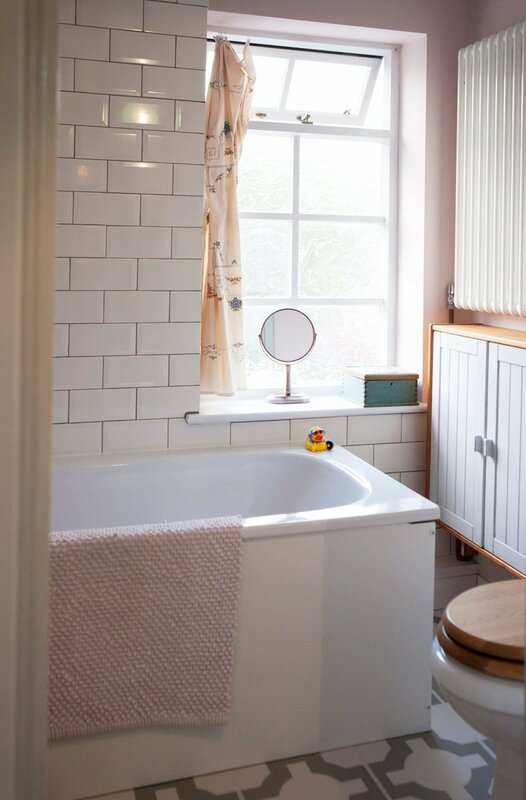 The small bathroom is highlighted with white and simple colours, and the decoration is kept to a minimum, which makes it appear bigger than it actually is. 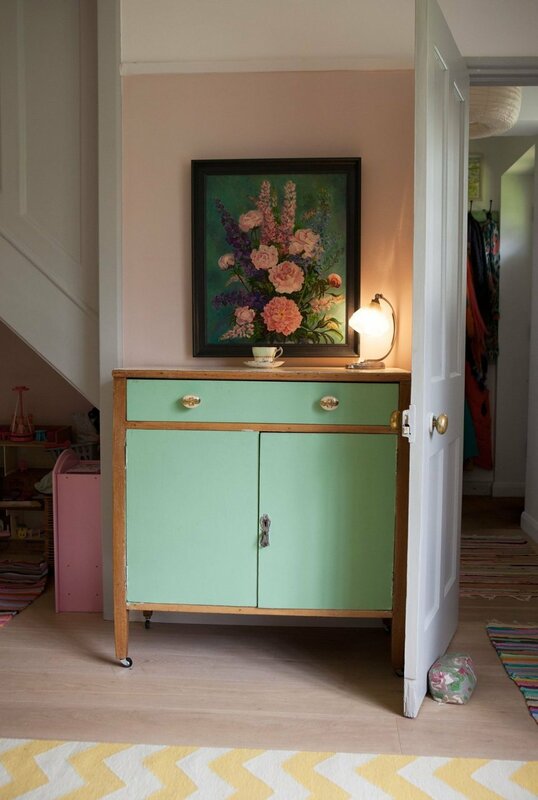 In the other rooms, there are many antique objects and pieces of repainted furniture mixed with the Scandinavian decor once again. 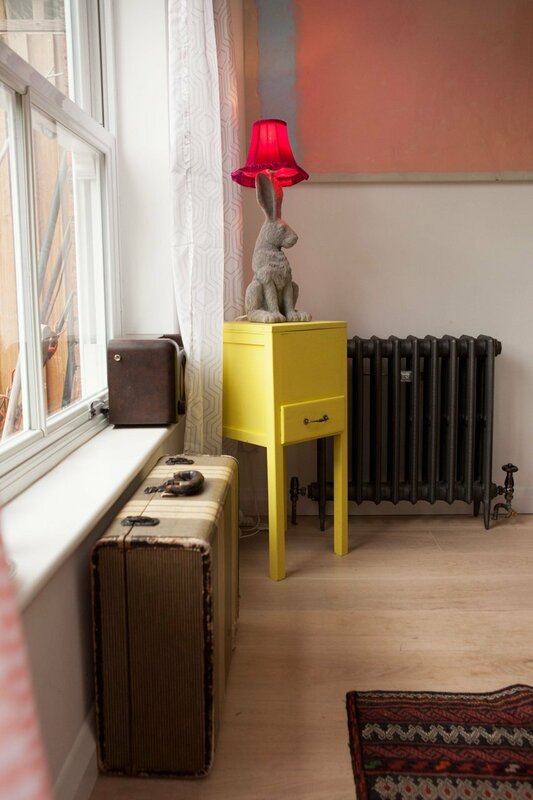 Miliboo's online blog has tips, ideas ans inspirations to share. Discover our world and Behind the Scenes and follow the best Trends.